Today is an undeniably big day for Janhvi Kapoor as her debut film, Dhadak is releasing today. A Karan Johar production, Dhadak has been a much-awaited movie as people are excited to see the legendary actress Sridevi’s daughter on screen for the first time. Everyone’s expectations from her are high. Yesterday, a special screening of Dhadak was held for the friends and family members of the budding actors, and the industry folks. Everyone is all praises for Janhvi & Ishaan. After the screening of the film, on Facebook live chat, Janhvi made the sweetest revelation about the best response she received. “The sweetest message I have gotten was from Anshula didi last night. I think that is the most special thing anyone has ever said to me,” Janhvi said. Janhvi didn’t make any revelation about what Anshula said, but well, it must be too emotional and special to be revealed. When Ishaan was asked about the same, he too got very emotional. “It is a very big deal for me that my family likes my film. My mother watched the film and told me she liked it much more than she expected. Honestly, after watching Beyond the Clouds, my first film, she was very surprised. With this one [Dhadak], she is just happy. She is gleeful. She is going to watch it for the third time tonight. That means a lot to me,” the actor said.Shahid Kapoor was also present at the screening last night. “My brother saw it last night. He is very happy. He liked us [Ishaan and Janhvi] together. He said ‘You two are really great together,’. It feels weird talking about ourselves,” Ishaan said. Coming back to Janhvi & Anshula Kapoor, the latter has stood by Janhvi & her sister Khushi Kapoor as their pillar of strength after Sridevi’s tragic demise. 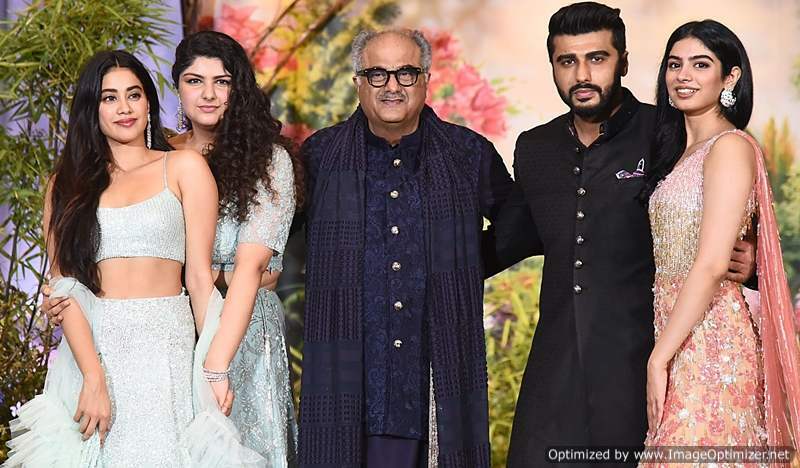 For the uninitiated ones, Janhvi Kapoor and Khushi Kapoor, born to Boney Kapoor and Sridevi, are half-sisters to Arjun Kapoor and Anshula Kapoor, who were born to Boney Kapoor and Mona Shourie Kapoor. Both Arjun & Anshula have not only warmed towards Janhvi & Khushi, but the two have now and then protected them against trolls. From welcoming her to Bollywood with Dhadak trailer to vacationing with her in London, the bond between the Kapoor siblings is getting stronger each passing day. Recently in an interview with Hindustan Times, Janhvi was asked about her equation with Arjun and Anshula. She said, “The only reason we can stand strong after whatever happened is because of the kind of love and support Arjun bhaiyya and Anshula didi [half-siblings] have been giving us [she and her younger sister, Khushi]. 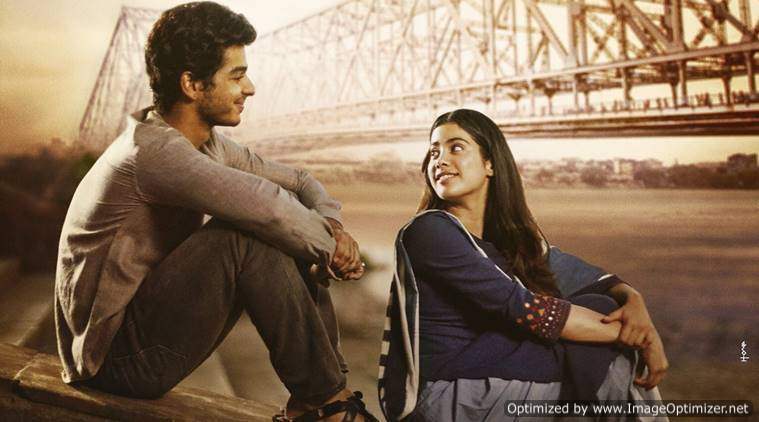 We wish Janhvi Kapoor & Ishaan Khatter all the best for their debut film, Dhadak! Next story Karan Patel Is Proud of Wife Ankita Bhargava. Here’s Why!